2.4GHz Wireless Radio for use with IP based receiving and transmitting video signals. This unit can be connected to a wired IP camera to make it wireless or can be mounted as an extension to an existing wired network to broadcast the network via WiFi to a wireless IP camera. If you are experienced with networking, you can program the radio to work with your existing network. If you require network configuration assistance then our Hands on Networking Support can be purchased for each device you would like us to configure. 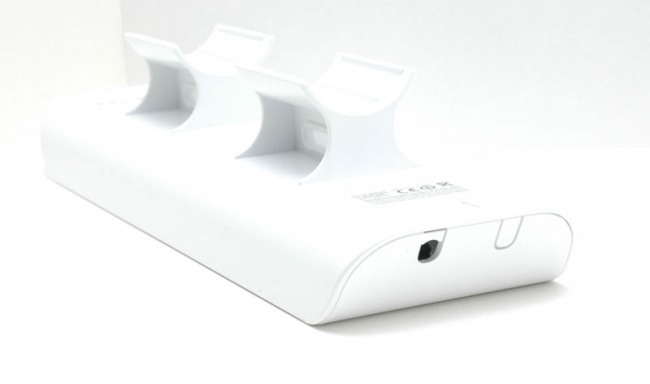 This wireless access point offers 50+ Mpbs real throughput and up to 15km range in clear line of sight when used with another identical MIMO wireless AP. It features 2x2 MIMO technology, this new wireless radio links significantly faster and farther than ever before. New antenna array designs featuring 11dBi at 2.4GHz. Secondary ethernet port with software enabled PoE output for seamless integration with a PoE IP Camera. Remote hardware reset circuitry allows for device to be reset remotely in case of a stall or hang-up, or you can utilize the built-in watchdog feature to reboot the radio in case of failure of network transmission. 30 Days Return Policy. Special order. No Returns Accepted. It depends how far you are transmitting, and the obstructions, which all are factors that determine throughput in the end. We suggest no more than 4 1080p ip cameras on each unit. 1.If SKU: NB24 is being setup to broadcast a Wi-Fi connection, how many wireless camera can be setup to connect to the broadcast network from the SKU NB224 and can at the same time used another SKU NB224 to extend the network from a distance. ? 2.Is the SKU: NB24 water proof from rain if place out door ? 3.what the advantage of the Bullet Access Point from the SKU NB224? 1) Depends on the throughput required by the cameras. We don't recommend using this device for more than 24mbps of continuous through put. 2) Yes this is a outdoor access point. 3) The bullet AP is for other uses. It does not come with an integrated antenna and involves additional costs. You need to have clear line of sight and take in to account the vertical beam angle. You can be 8-10 ft off the ground and transmit 500ft away, as long as you tilt the access point correctly. Using the built-in signal meter in the APs can help with positioning as well. I have a few project coming up and in one of them 6 of my cameras will be at 900ft away or more. My question is, If plug my HD IP camera to this access point can I pick up the ip camera with any NVR or Hibrid Recorder? just like I would do with the camera connected to the network. Yes you would be creating a wireless bridge that allows a network connection between any two devices. I am so confused. Here’s the deal. I have a pregnant horse in a barn. My wifi is obviously in my house. I could attach the camera to a window I suppose to keep it out side and not in the metal building. Would rather have it in barn but worry about signal strength thru metal. The stall she is in would be about 100 feet from wifi router in house. And thru 3 walls. I don’t know how to do this. I could move router in kitchen.... making it closer and only one wall. Would be a pain though. I need to know how and what i need. I want to be able to look my phone from work and check on her. Help!! You can learn more about how such a setup works by reading our How to make wired IP cameras in to Wireless IP Cameras article. I'm looking at installing an "over-the-counter" complete IP system (wired) with one of the four cameras being approx 900' from the DVR. Are two (2) units required to convert the wired camera to wireless? I don't see a transmitter & receiver in the kit description. To convert a IP camera that is wired in to wireless you will need two wireless AP to create a wireless signal as outlined in our Point to Point Wireless Link Guide. This product listing is for one wireless AP. Can the NB24 be hooked directly to a PoE switch to transmit multiple cameras in a remote location? On the other side, can the NB24 be hooked directly to the NVRES8P to complete the wireless communication or will a PoE+ injector be needed to power the NB24? Example: I have 3 IP cameras in a remote building. Another building has the NVR and 2 other IP cameras. I need to connect the two buildings wirelessly. A PoE NVR will not power the NB24. You can add the NB24 using its included passive PoE injector to the NVR by connecting the LAN side of the PoE injector to the PoE ports on the back of the NVR. The NVR will only send data in this method and not power. I have 12 IP (PTZ) cameras using CAT5 cables via a PoE network switch that need to be monitored in real time in 3 remote stations at different buildings at a distance of max 1km away. How will I create a wireless network using the AP. How many transmitters will I need. What obstructions will interfere with the AP. You can find all this information in our wireless security camera guide. 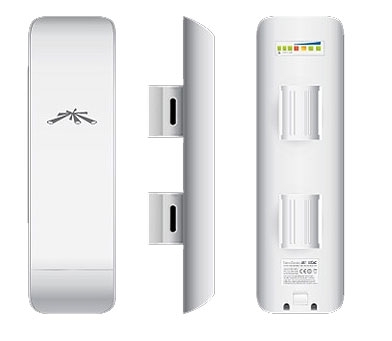 Can the access point that connects to the router be inside the house or does it need to be installed outside as well. The signal distance from point to point is 75 feet and with a clear view? If you are transmitting through a window, then it would be fine.